Beijing intends to deploy more surface-to-air missiles to the disputed islands in the South China Sea, US media reported on Friday. WASHINGTON (Sputnik) — US intelligence agencies say they think China will move CSA-6b and HQ-9 weapons to the contested South China Sea territories from the island of Hainan, Fox News reported. US authorities has come to the conclusion based on new satellite images from Hainan, according to media report. 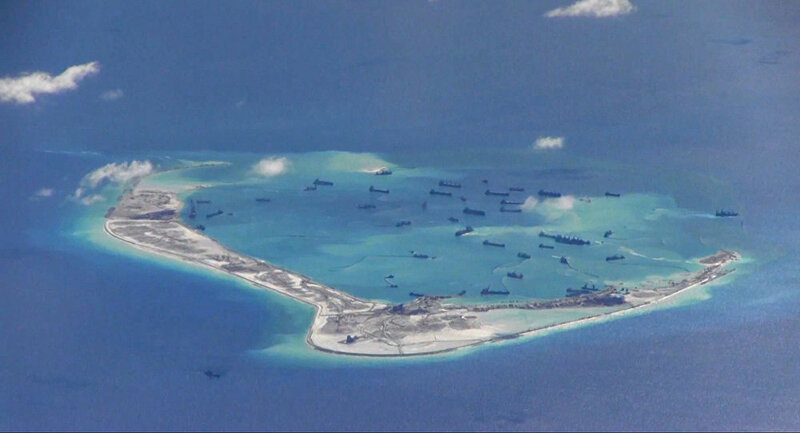 The Spratly Islands in the South China Sea, are contested by China, Taiwan, Vietnam, Malaysia and the Philippines. In July, the international tribunal at the The Hague rejected Beijing's claims on the islands and rebuked its activity in the South China Sea, including the construction of artificial land. The US Navy continues freedom of navigation patrols in the area despite protests by China.